Greetings from the TAKE IT BACK NIGERIA to you. Please be informed that TAKE IT BACK NIGERIA is an affiliated Movement in sensitizing Nigerians and an advocate for good governance by taking it back. 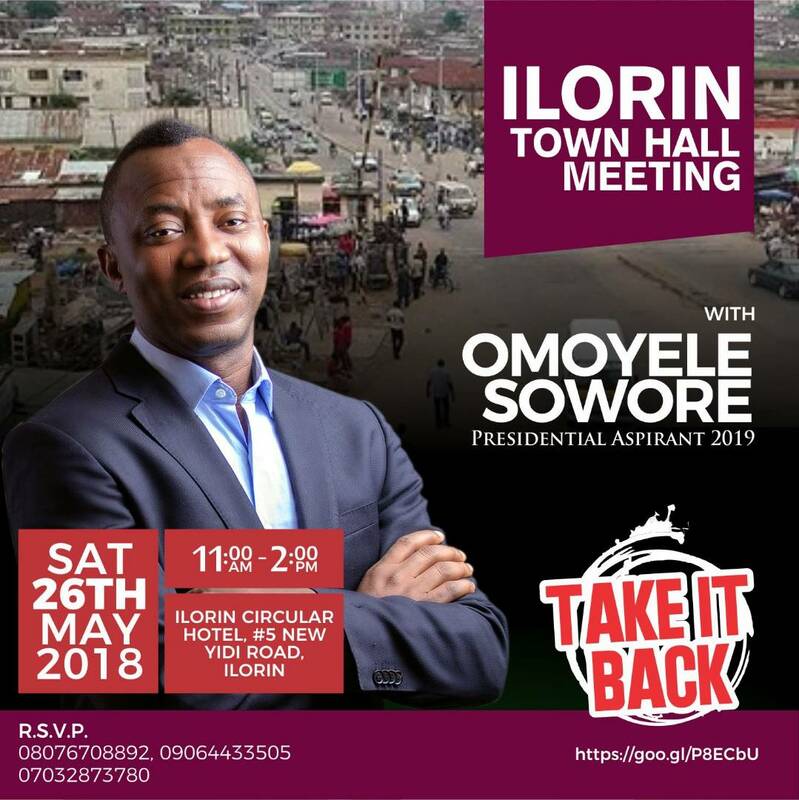 Join Omoyele Sowore the publisher of Sahara reporters. Towards this end, we hereby invite your organization to participate in large numbers in this TOWN HALL MEETING Where it will be an interactive session with a presidential aspirant OMOYELE SOWORE the Publisher of Sahara Reporters. Venue: Circular Hotel Hall, Ilorin. We look froward to your attendance.